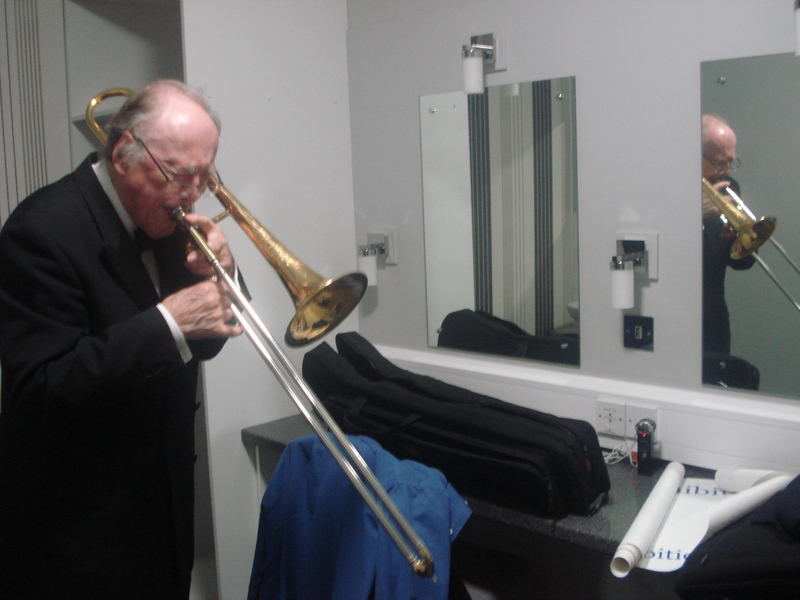 We are thoroughly delighted that on 26th August 2014, Chris Barber agreed to support the British Blues Exhibition. This support from the man that probably did more than anyone else in the UK to bring inspiring American Blues performers to the UK is an honour for the British Blues Exhibition. It will be great to be able to tell Chris’s story in the exhibition and online on this website. In a wonderful link between the past and the present, it was Chris Barber that helped bring Chicago Blues great Muddy Waters to the UK, and he is joined as a supporter of the British Blues Exhibition by Muddy’s eldest son, Mud Morganfield, who performs regularly in the UK. Chris remains actively engaged with in British Blues, featuring on recent albums by both Dave Kelly and Stephen Dale Petit. Here is an interview with Chris by the British Blues Exhibition from May 2015. See our blog. Here is a newer interview, this time in audio, at the Churchill Theatre in Bromley on 19th April 2016.